Thomas Jefferson. Martin Luther King Jr. Winston Churchill. C.S. Lewis. 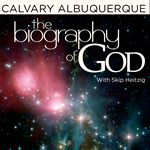 All outstanding men with amazing life stories, but in all of history, one biography stands out above the rest. 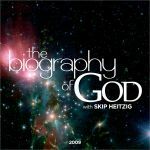 The Biography of God gives an in depth look at His character and nature, and delves into the theological and personal profile of our Heavenly Father. As this series searches the scriptures to lead the believer to a discovery of who God is and how He is sensitive to the human condition, it will both lift up and humble at the same time.